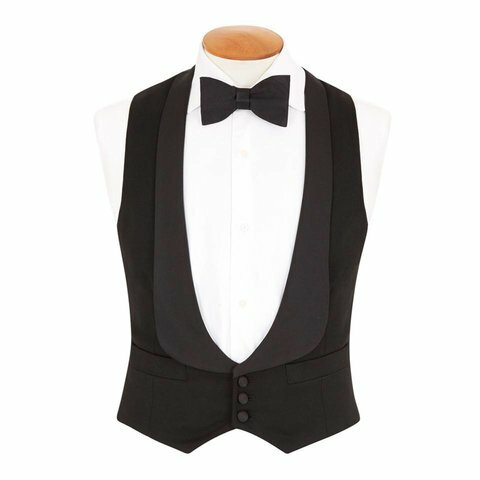 Completing the classic eveningwear outfit, these black tie waistcoats are beautifully designed and crafted in the UK from 100% barathea pure wool. Featuring shawl collars with corded silk lapels and six silk-covered buttons, these evening waistcoats are classically cut and finished with a satin back-panel and traditional waist adjuster. Available in regular and long fittings. Wear together with our Dinner Suit.